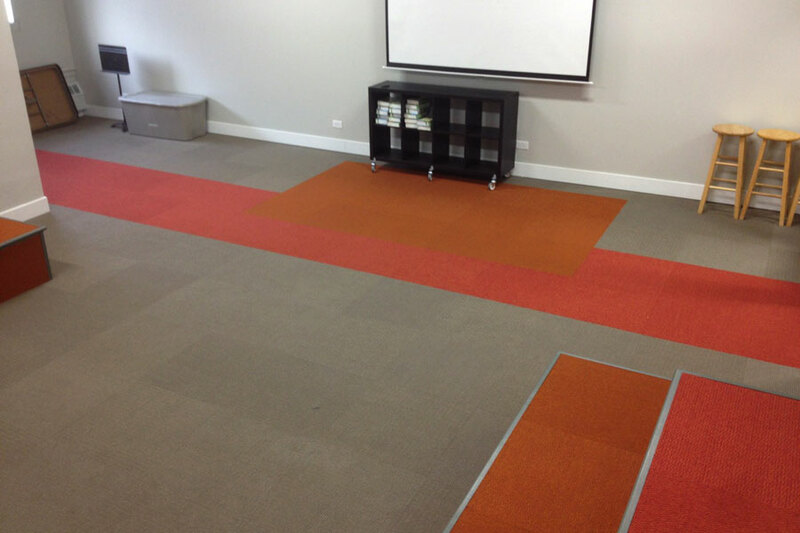 Description - The Brights Carpet Tiles are one of our most bright and vibrant carpet tile collections featuring several fun and interesting colors which can be combined with our On Point and Point of View carpet tiles to create a more custom floor. These floors tiles are very easy to install and maintain, only needing double-sided tape or a pressure sensitive adhesive to install. In most residential installations, double-sided carpet tape is all that is needed. Not only can these tiles be used to cover an entire room, but these carpet tiles can also be used to create unique and custom rugs. These discount floor tiles are also very unique in that they can help to reduce odors in any room they are installed, due to the fact they have been treated with a proprietary system that aides in odor reduction. These residential carpet tiles are also very ‘Green’ being constructed of up to 40% post-consumer recycled material and 100% recycled energy, making them the perfect product for any environmentally conscious consumer. 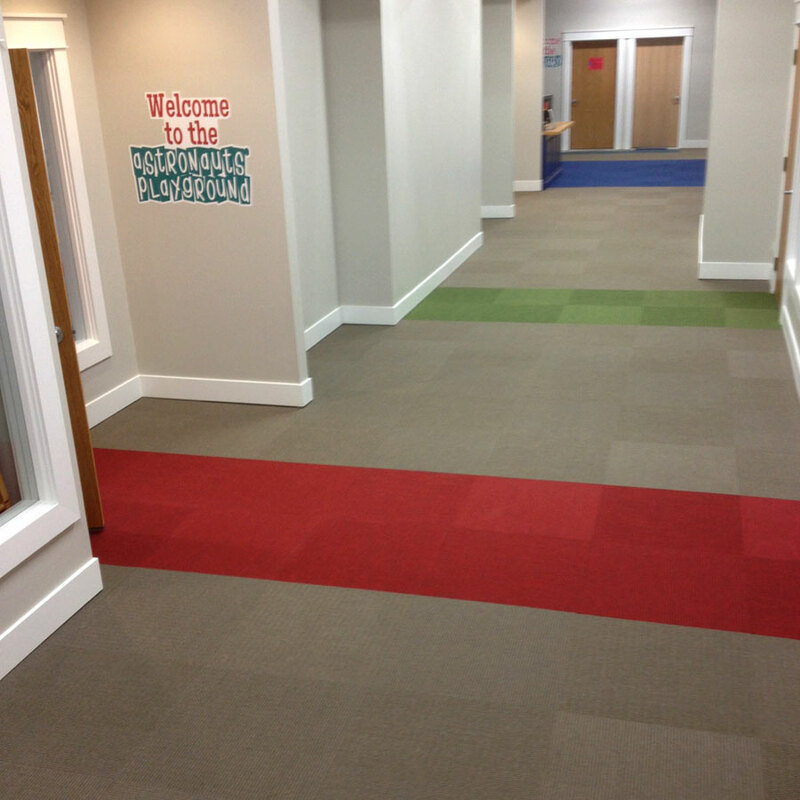 So if you are looking for a tile that is not only good for our environment but is also very colorful, then The Brights carpet tile is for you. 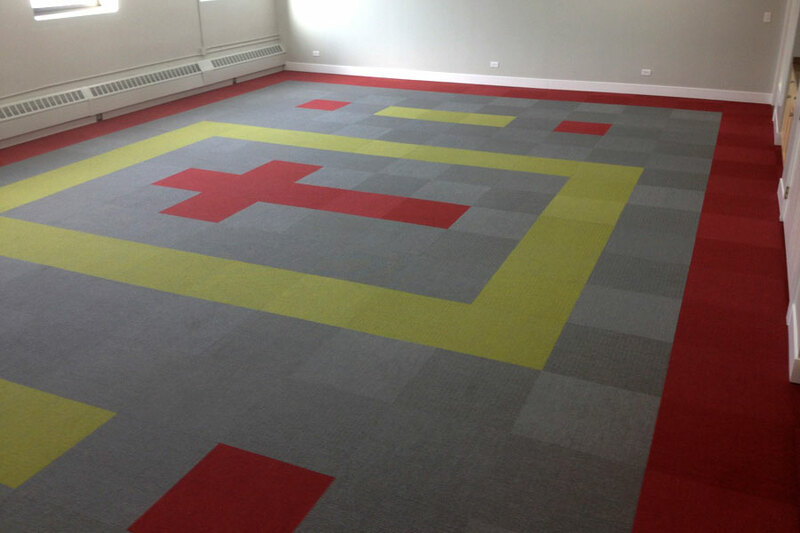 Recommended Uses - The Brights Carpet Tile squares have been used in both commercial and residential applications because of their durability, versatility and ease of installation. 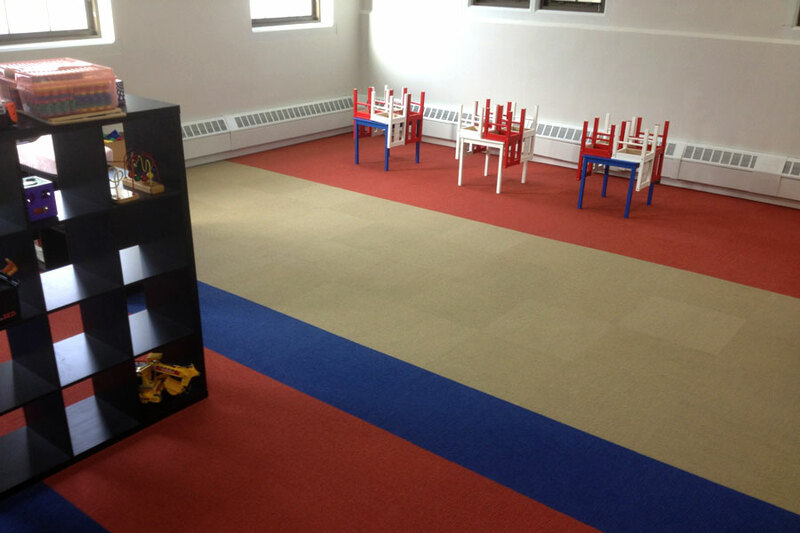 Because of these facts, carpet tiles are quickly replacing broadloom carpet and have been installed in nurseries, basements, kitchens, bedrooms, weight rooms, home gyms, garages, workout rooms, and elderly care rooms and many other areas. Create custom rugs or floors. 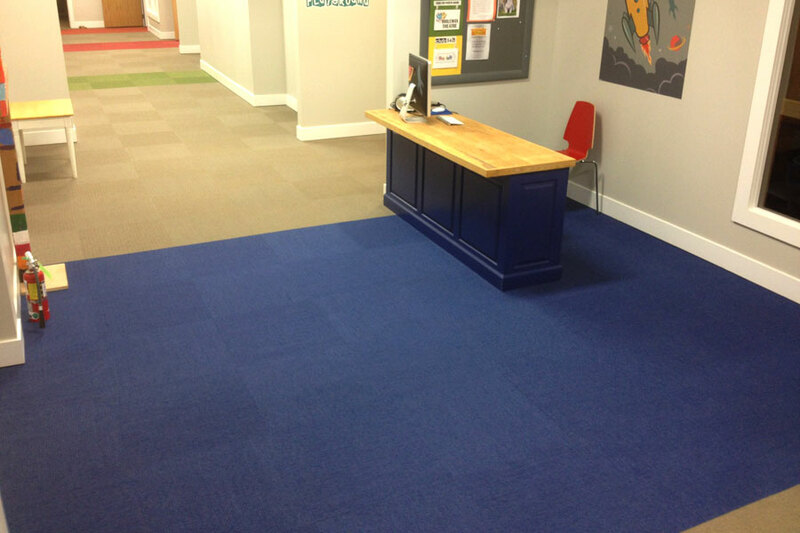 'Green' commercial grade carpet tiles. We are very pleased with our purchase. 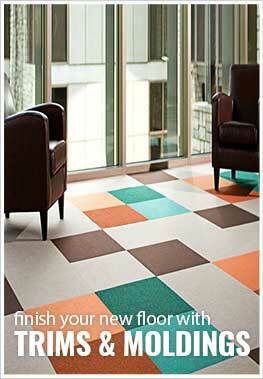 The tile was very easy to install and the quality and color are extremely satisfactory. 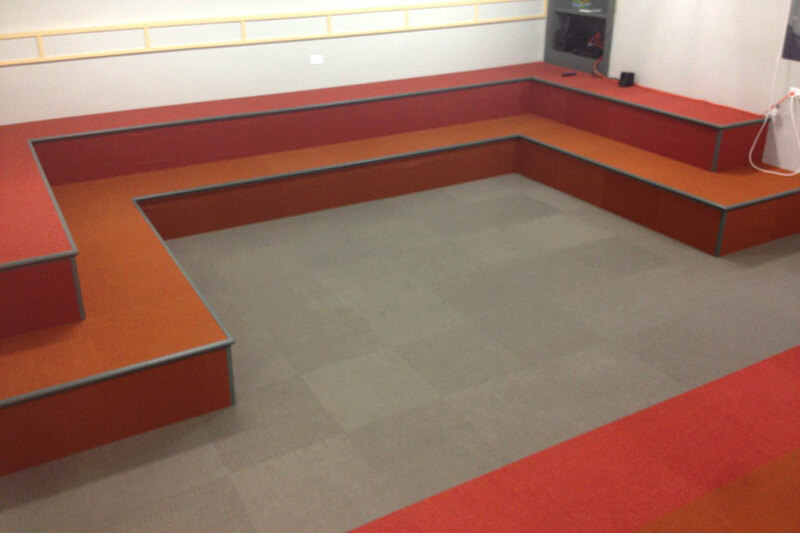 They have given our floor space a much needed face lift. Great value! Thank you. Recently I had been looking for carpet tiles because a friend of mine had created a really cool rug with some. So after searching around for colors and patterns that interested me I came across this site and this product. The colors were great, I mixed the Khaki with Orange Peel for accent and it really looks great. All my friends and family love it. I also love how easy it was to install with some double-sided tape. Thanks.